The Civil Air Patrol, noncommissioned officers in aviation, the V-22 Osprey. Last Doolittle Raider passes, F-35A recovery, SOCOM and light attack aircraft, Stratolaunch first flight, Ethiopian AOA sensor, reduced seat recline, 60 electric airplane order. Champaign Aviation Museum restoration work, volunteers, the role of aviation museums. 737 safety cards, Scaled Composites Model 401, flight attendant trip brokering, Wow Air, Collier Trophy winner. 2019 SUN ‘n FUN Fly-in and Expo. The Women Take Flight event at the New England Air Museum was held to commemorate Women's History Month and in conjunction with Women of Aviation Worldwide Week. Visitors of all ages celebrated women's contributions to aerospace history through a variety of hands-on activities, special events, and guest lecturers. 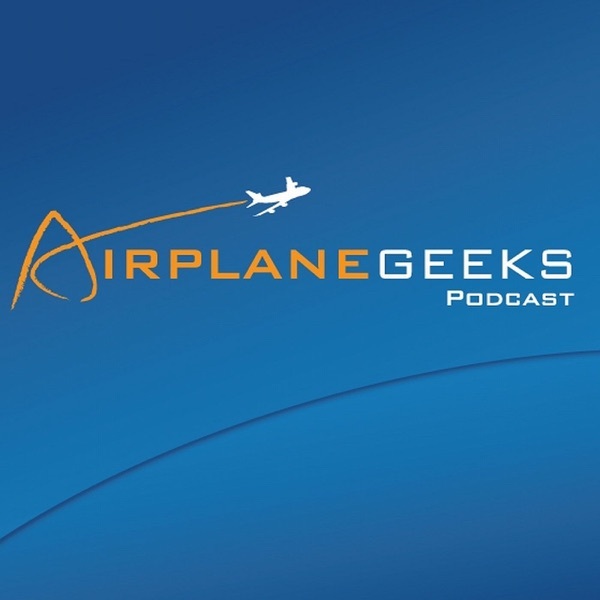 Two guests this episode: An airline Captain who flies the Boeing 737-800 and the 737 MAX 8 and the International President of the Association of Flight Attendants. In the news, we look at the nominee to be the next FAA Administrator, private pilots providing services to disaster victims, and the decision to replace aging F-15’s with the F-15X. NBAA Regional Forum in Houston, pilot and mechanic shortage, NBAA top safety focus areas. B737 Max, AOA, MCAS, the certification process. Also, Southwest labor agreement, more coin tosses for good luck, B-52 re-engining, famous aviation siblings, Red Bull air races, Boeing 747. Aviation career opportunities, current employment outlook, industry trends, and scholarships. Boeing acquisition of ForeFlight, the crash of Ethiopian 737 MAX 8, FOD in KC-46, pilot leaves handgun onboard, pax with an RPG, SUN ‘n FUN fly-in and air show. Airline cabins, cameras in seatback IFE systems, developing more industry diversity, bringing a gun on a plane, Amazon Prime Air B767 crash, new drone marking requirement, winners of the Chicken Wings comics giveaway. Sky Kids puts children with special needs and disabilities in general aviation aircraft, Airbus announces end to A380 production, Southwest declares “operations emergency” but also conducts certification flights to Hawaii, Icon A5 demo flights spark calls to emergency dispatch. 50th anniversary of Boeing 747 first flight, NTSB Most Wanted List of Transportation Safety Improvements, last commercial flight of B727, Airbnb and air travel, SFO outdoor observation deck, Virgin Galactic pilots earn astronaut wings, Collier Trophy nominees. The impact of AI on commercial aviation, monitoring pilot conversations with AI, Southwest gets new airplanes signed off during a government furlough, Norwegian Air Shuttle’s share offering, and the loss of a remarkable female military aviator. Chicken Wings aviation humor, flying a full motion flight sim at the United flight training center, effects on aviation of the partial US Government shutdown, the Airlander 10 prototype is retired, Boeing delivers 2 KC-46A tankers, unmanned wingmen. AOPA SVP Tom Haines talks about 2018 accomplishments and what's ahead for 2019 abd beyond. Also, 7 airline innovations, the fatal training accident rate, and the ANA dual engine shutdown. Identity management, seamless travel at the airport, the work of the SITA Lab. Also, rogue drones at airports, impacts on aviation of the government shutdown, Generation 2 of the Cirrus Vision Jet, and USAF acceptance of the first KC-46 aerial tanker. Guest George Kalbfleisch is the Deputy Director of DC-8 Flight Operations for the Samaritan’s Purse emergency relief organization. In the news, we discuss the Twin Mustang Prototype unexpected flight, the Chinese soft landing on the back side of the moon, commercial flights that get diverted due to rocket launches, the worsening controller shortage, and paying tips to Frontier cabin crew. Guest George Kalbfleisch is Deputy Director of DC-8 Flight Operations for Samaritan’s Purse, an international Christian relief organization. Samaritan’s Purse delivers critical emergency relief supplies to people in need around the world. Examples include the Saipan typhoon victims, Bangladesh refugees, Iraq during the battle for Mosul, the Caribbean following Hurricanes Irma and Maria, and Ecuador following a magnitude 7.8 earthquake. George tells us about the configuration of the CFM56-powered DC-8-72, it's range and payload capabilities, and the types of emergency relief missions it undertakes. We learn about the teams that fly and maintain the airplane, and how flight planning takes place, sometimes into devastated areas without electricity. George also treats us to a few of his most exciting and most unusual flights. Prior to Samaritan’s Purse, George flew DC-8s with an international freight company for twenty years as captain, line check airman, sim instructor, check airman, and the aircrew program designee to issue type ratings for the airplane. George earned his Bachelor of Science in Aviation Management at Oklahoma State University and received his pilot’s license in 1980. He is a certified airline transport pilot with type ratings in the A320, B-777, DC-8, and SA-227. George is an active General Aviation pilot who enjoys flying tail wheel and aerobatics in his spare time. Aviation News XP-82 Takes Accidental First Flight Ray Fowler was conducting high-speed taxi tests of the XP-82 Twin Mustang Prototype. The plan was to lift the wheels for just a second, deploy the flaps, and roll out. Except it accelerated so fast that the plane couldn’t get back down in the remaining runway. So up he went. See XP-82 Twin Mustang Restoration Project for more. China’s Chang’e-4 lands on moon’s far side China’s Chang’e-4 spacecraft made the first successful soft landing on the far side of the moon. The spacecraft combines a lander and a rover and utilizes a relay satellite Queqiao for communication. From China National Space Administration: China's Chang'e-4 probe makes historic landing on moon's far side. Gridlock in the sky The Feb 6, 2018 launch of the SpaceX Heavy Falcon closed the airspace over a 1,300-mile section the Atlantic for over three hours. Commercial flights had to fly significantly diverted routes, costing time and fuel. What happens when commercial space flight launches become frequent? ALPA says these closures “have led to extensive and expensive delays to commercial air traffic that are unsustainable.” Government Shutdown Worsens a Controller Shortage The National Air Traffic Controllers Association is not happy with the partial government shutdown because of its effect on members. But another consequence is the negative effect on training for new controllers. The FAA training academy in Oklahoma City is shut down, and classroom and simulator training at air traffic control facilities has stopped. That’s a First: I Was Asked for a Tip From a Flight Attendant PointsGuy.com writer JT Genter was on a Frontier Airlines flight. After ordering his beverage and providing his credit card, the flight attendant handed him a tablet which offered him the ability to select a tip. Herb Kelleher, Aviation Pioneer and Southwest Airlines Founder, Dies at 87 Kelleher co-founder and Chairman Emeritus of Southwest Airlines had died at the age of 87. From Southwest: Farewell to Southwest’s Founder. Mentioned XP-82 Restoration Project Eat at the Airport - Map of airports with eating establishments. Guest Isaac Alexander gives us a taste of aviation action in the Pacific Northwest. In the news: updates on the Boeing/Embraer deal, more WOW Air woes, Virgin Galactic test flight, MRJ engine final assembly in Japan, the Northrop Grumman Firebird MALE, an airline turnback to deliver a heart, and pet fish flying commercial. Plus David’s holiday story, Voyager spacecraft, and first flight comments. Lockheed Martin and Airbus push A330 MRTT aerial tankers, air marshals, Brazilian court blocks Boeing-Embraer deal, airport biometrics, pilots and apps, AOPA STEM program, An-124 at Houston, Boeing 777X BBJ, Voyager 2 in interstellar space. Airlines use the cloud for responsive customer service. Indigo Partners invests in Wow, airport micro-hotel rooms, B747 retirements, passengers pay for aircraft repairs, A320 engine cowling door problems, Piaggio insolvent, history segment on the TBF Avenger. Red Bull Air Race World Championship Finale report, Boeing Maneuvering Characteristics Augmentation System, Lockheed Martin X-59 Quiet Supersonic Technology aircraft, Aurora Flight Sciences pseudo-satellite, JAL pilots, TSA Automated Security Lanes. Delta Air Lines celebrates 10th anniversary of the Delta/Northwest merger, new engine repair shop, first A220-100. American Airlines baggage handler, Lion Air crash, Boeing 737 MAX data servers, two Iceland airlines. Interviews with aviation Youtuber and Snowbird #1. A new airline from the founder of Jetblue, a change to training regulations for experimental LSA, Tyndall AFB devastated by hurricane, Bombardier sues Mitsubishi, helicopter passenger saves the day, Lion Air fatal accident, air show and fly-in interviews. The CEO of magniX talks about electric airplane propulsion. Also, FAA reauthorization, an initial NTSB report, why bad airline service is profitable, possible increase in the LSA weight limit, Air Force contracts for helicopters and the T-38 replacements. The author of Fly Girls: How Five Daring Women Defied All Odds and Made Aviation History looks at the true story of pioneering women aviators. Also, Air Canada’s near disaster, FAA approves ultralight VTOL, FAA reauthorization, F-35B crash, American Airlines podcast, Dorkfest 2018, Collings Foundation. Dr. Patti Clark, Program Chair at ERAU on Aviation is Your Future course for youngsters aged 8-12. Also sustainability in the aviation industry, FAA reauthorization, A-10, misspelled airline name, falsifying FAA records, XP-82 Twin Mustang, Dorkfest. Our Appareo Systems guest talks about ADS-B systems. United Airlines goal to cut greenhouse emissions by 50%, Airbus investing in synthetic spider silk, fatal Cessna 335 crash, bad behavior by emotional support animals, passing the Cirrus SF50 checkride. A deep look at UPS Airlines, Perlan 2 altitude record flight, GA accident rates, F-35C incident, pizza for American Airlines passengers, the 97th birthday of a WASP, the Immortal Red Baron air show act, a new Old Guys and Their Airplanes video, the 2018 Audi Stuart Air Show. Betty in the Sky with a Suitcase podcast host and author Betty Thesky tells us about the life and experiences of a flight attendant. Airline seating, airline fees, flight attendant pay. Also, an indigenous fighter from Iran, the UK Light Aircraft Assoc. Social and technology changes at airports, facial recognition, carry-on screening, passenger vehicle traffic. AAviation Day, the de-icing pad, airport outreach, stairs trucks. Southwest issues a policy for trained service animals. Aviation program at University of Maine Augusta, stolen and crashed Horizon Air turboprop, proposed British jet fighter, elevated carbon monoxide levels, percentage of women pilots, lawsuit over lavatory access, fatal Ju 52 crash, pancake breakfast and fly-in. Aviation journalist Jon Ostrower is now editor-in-chief of The Air Current and shares his views on Farnborough, electric aircraft, the Embraer/Boeing and Bombardier/Airbus linkups, and a Boeing middle market jet. Also, single pilot cargo planes, Trent 1000 problems, a GA exhibit coming to the National Air & Space Museum. Our guest documents aircraft crash sites and helps next of kin find closure. Also, Boeing’s Aviall unit helping Antonov, GA fees charged by FBO’s, Delta’s new dining experience, an update on fan blade inspections following the fatal uncontained engine failure on Southwest. The 2018 Farnborough Airshow, Ryanair strikes, the top ten airlines, United flight attendants sell the airline’s credit card, Airbus A321LR and XLR, an interview with the director of the Portland International Jetport. Aerial firefighting aircraft, pilots, and missions. Early Farnborough orders, the CSeries is now the Airbus A220, a Rolls Royce Hybrid VTOL, an engine OEM says, “not so fast.” Info on AirVenture Oshkosh 2018 gatherings of aviation podcasters and listeners. Aircraft dispatcher training and knowledge, FAA won’t regulate airline seat space, Delta 777-200ER refresh, Boeing and Embraer, JetBlue helps pet, PIMA Air & Space Museum, going supersonic, airmail navigation arrows, Equator Aircraft P2 Xcursion first test flight. 100th anniversary of airmail, new Goodyear airship, Aquila canceled, Boeing 797, a hypersonic airliner concept, a stealth tanker, TSA looks at your snacks, Heathrow expansion, a quieter airplane, reduced pilot training at USAF, finding airway beacons, Air Evac Lifeteam at COTA, student pilot Nicki’s new flight instructor.